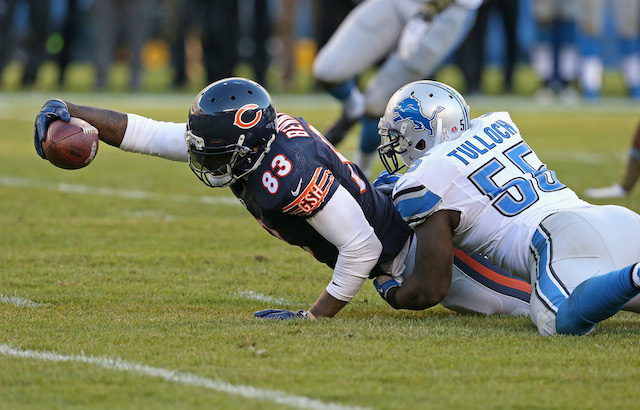 The Detroit Lions are a Thanksgiving Day staple, and in 2014, they will be hosting the Chicago Bears in an NFC North division rivalry game to kick off the NFL action on Turkey Day. 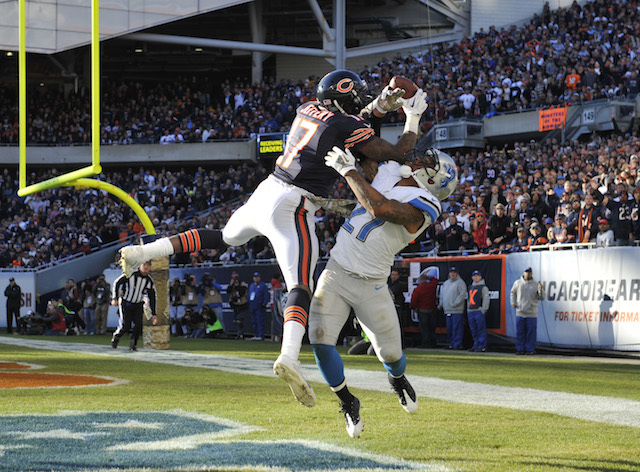 The Lions swept the Bears in 2013, and the Bears swept the Lions in 2012. This will be their first meeting in 2014, and the Bears will be coming into this matchup with a two-game winning streak, while the Lions will be coming in as owners of a two-game losing streak. The Bears need to win this game to help save head coach Marc Trestman’s job, and the Lions are playing to save their season and get themselves back into the NFC playoff picture. This game will be played on a short week, something that has proven to be difficult for some teams to handle. Here is a look at three things to watch for when the Detroit Lions host the Chicago Bears on Thanksgiving Day. 1. 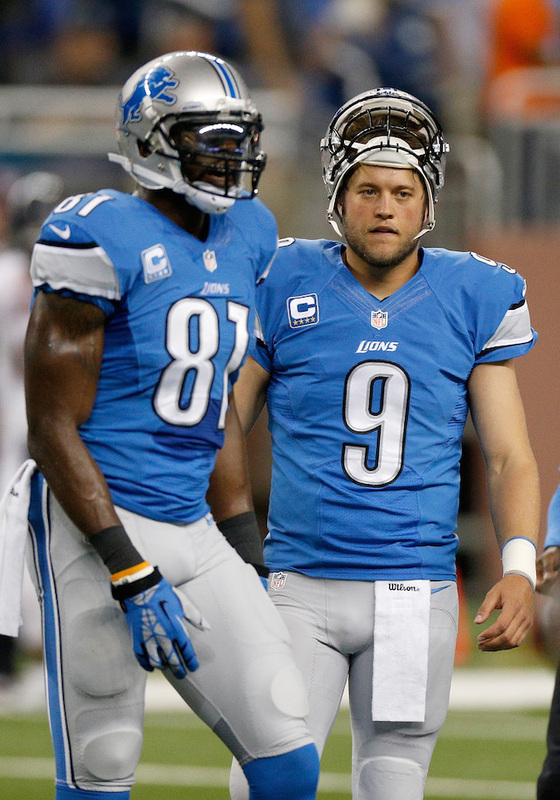 Can the Lions’ offense get back on track against a mediocre Bears defense? Despite a 7-4 record, the Detroit offense has struggled to put points on the board in 2014. One of the major contributing factors in the Lions’ 28th-ranked, 17.9-points-scored-per-game average are the nagging injuries to Calvin Johnson, Reggie Bush, and Joique Bell. Johnson and Bell are back in the Lions’ lineup, but Bush remains a major question mark. The Lions will also have to deal with a banged-up offensive line that could be featuring as many as three new starters in Week 13. There is good news for the Lions, though: The Bears have one of the worst defenses in the league, giving up an average of 27.5 points and 367.3 yards per game in 2014. The Lions’ defense remains one of the league’s best, so this game could come down to whether or not the Lions’ offense can get out of its funk and light up the scoreboard on Thanksgiving Day. 2. Can the Bears win a game against a top-notch team? The Bears are coming into this game with a 5-6 overall record and are riding a two-game winning streak. With that being said, outside of a Week 2 win over the San Francisco 49ers, all of the Bears’ 2014 wins have come against teams with a combined record of 12-32. 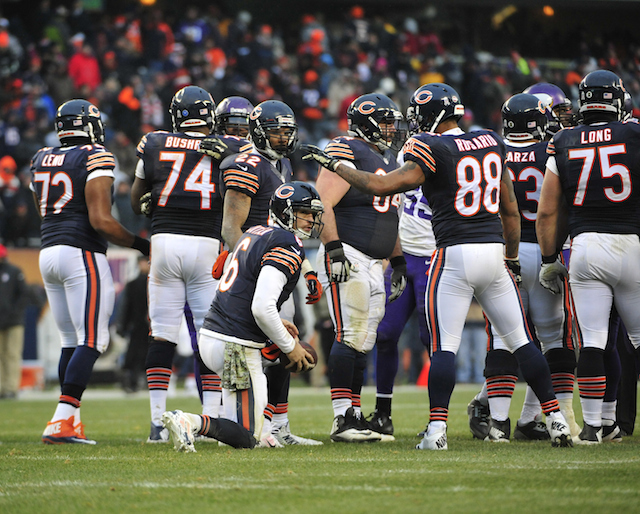 Against their stronger opponents, the Bears haven’t just been getting beat, they’ve been getting blown out. This game will be an excellent opportunity — it’s a short week and the Lions are banged up — for Chicago to prove that it can beat one of the best teams in the NFC. 3. Which streak will come to an end? The Lions’ two-game losing streak, or the Bears’ two-game winning streak? The Lions posted an impressive win over the Green Bay Packers last Thanksgiving, but have been slumping in recent weeks and need this game to get back into the NFC playoff hunt. The Bears have won two straight but have done so in ugly fashion and against vastly inferior opponents. The Bears need to win this game if they are going to have any chance at making a late season playoff run, making this a must-win matchup for both teams.